Scholastic Aptitude Test (SAT) result holder, AP result holder, IB Diploma/IB Certificate holder or A Level certificate holder who has met the DLSU criteria (/oas/undergraduate/exemptions-crediting-1819.pdf). All results and certificates will be subject for evaluation. 1.1. Registration: Create an Account using a valid email address to register1.2. Upload all Application Documentary Requirements Please allot reasonable lead time to secure the following requirements/documents and to prepare a clear scanned copy of each (in JPEG format) in time for the Application process deadline. 1.6.1. Over-the-counter deposit at any Metrobank or Union Bank branches nationwide. Applications with incomplete requirements will not be processed. Applications submitted late will not be considered. Please keep all original hardcopies of the documentary requirements. They are necessary and form part of the requirements during confirmation of enrollment. 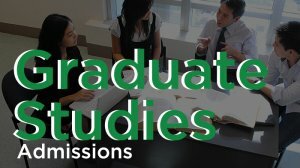 Any false information given and/or fraudulent document uploaded into the online admission facility will automatically nullify the application and permanently disbar the applicant from pursuing any level of study at De La Salle University. Test result will be withheld for applicants with incomplete requirements and/or who failed to comply with the specifications of the documentary requirements (e.g. unclear/unreadable scanned copies). To avoid such inconvenience, inquiries may be sent to admissions@dlsu.edu.ph with the Subject Heading: Online Application Concerns. Kindly take note of the reminders provided in the test permit. Please complete the application process early in order to avoid unnecessary inconveniences. 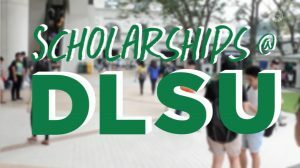 Access the test result from the DLSU website at www.dlsu.edu.ph on the first (1st) week of January 2019.